Actor Lupita Nyong'o attends The Academy of Motion Picture Arts and Sciences official screening of Us at the MoMA Celeste Bartos Theater on March 18, 2019 in New York City. 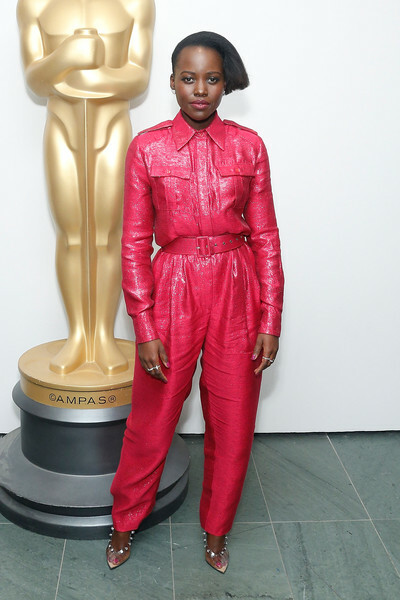 Lupita Nyong'o matched her top with a pair of baggy fuchsia slacks. Lupita Nyong'o styled her look with studded PVC heels by Sergio Rossi.